All-in-one Apple's Desktop computers, called Apple IMacs comes with quad-core Intel Sandy Bridge Core i5 processors, AMD Radeon HD graphics and Thunderbolt technology. It will be available currently from Apple Authorised Resellers in India.Thunderbolt ports make it possible to drive two additional monitors, 10Gbit/s transfer rate for external storage and other devices, can run windows or OS X on it. The screen size along with price details are given below. New 21.5-inch 2011 iMac models have one Thunderbolt port while 27-inch models have two Thunderbolt port. Apart from that, Thunderbolt also supports DisplayPort for hooking high resolution displays and work with HDMI, DVI and VGA adapters. It comes with AMD Radeon HD 6700 series graphic processors for best graphical output. FaceTime HD camera rests on the top centre of the iMac display. 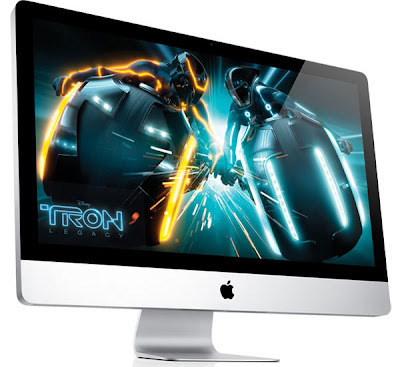 The new iMacs uses low power processors and will run cooler than the last generation iMacs. 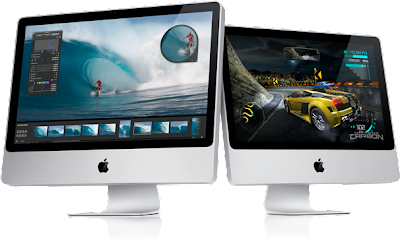 Tags:Apple IMacs, Apple IMacs features, Apple IMacs review, Apple IMacs specifications, Apple IMacs price, Apple IMacs availability, Apple IMacs Desktop PC.